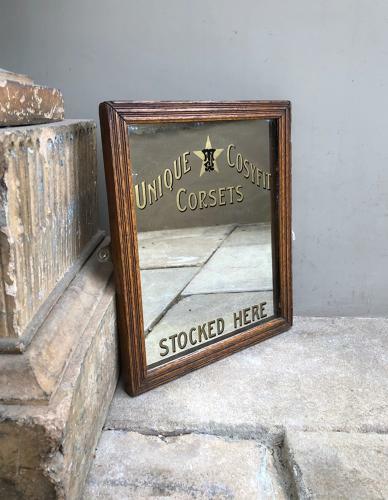 Completely Original and in Lovely Condition Edwardian Shop's Advertising Mirror. UNIQUE COSYFIT CORSETS. STOCKED HERE. Gilt reverse painted glass..in original oak frame. Two hooks have been attached to wall hang.